IIT Jee (Main) 2014 sample paper free download iit mathematics, iit chemistry, iit physics and iit jee english. model paper of jee main exam 2014. The entrance exam that conducted on 06 April 2014 by CBSE for admission of students in various engineering institute in India.Previous year specimen question paper 2014 of jee main and question bank will help to upgrade your jee(main) joint entrance examination results, practice the iit jee(main) exam papers, Last 10 years Question Paper and online jee main 2014 sample papers download free available in the attached sheet in PDF for all entrance students. 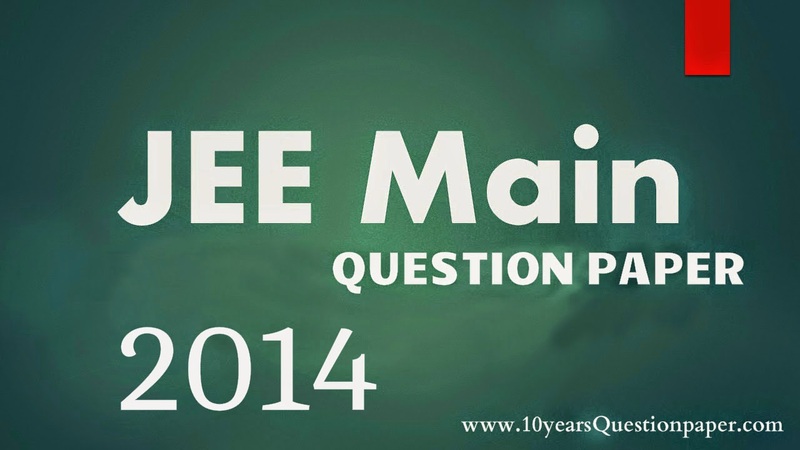 JEE (Main) Joint Entrance Examination question paper of 2014 .This are the sample paper of Jee (Main)-2014 that is provided by the official site - jeemain.nic.in This sample paper of Jee Main can be Download. This sample paper of jee main is very helpful for the students that are going to give entrance exam of jee (main) 2015. The exam are fully based on principal not in rules so the students have to study only the concept of the chapters if the concept is clear you can easily crack the Joint Entrance Examination. This paper will provide the concept of question of jee main the type of question that can come for the exam. The students can practice the question for the question paper.